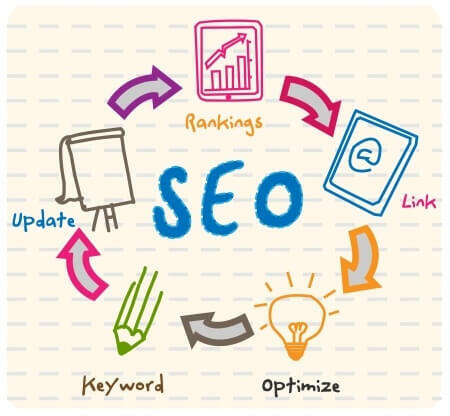 In taking into consideration the various variables and benefits of having a “high” or top-ranking authority website, a lot of website and business owners don’t take into account the reality that appearing optimally on Google search results via SEO methods—one of many major search engines—is a process in which is constantly evolving or changing. By that, it means if you are the third result today, it’s likely that you could be the fourth or second tomorrow, as the competition is always making new moves to try to compete for those top page results via SEO marketing and advertising methods. Achieving high-ranking by major search engines like Google nearly guarantee a tremendous increase, but also continuous stream of business or customers towards your product and website, gauging such a variable from a supply and demand, as well as popularity dynamic. When people see a business, ideally prospective customers, that is appearing more than once in a Google Search, they are automatically more (psychologically) inclined to assess some level of trust or faith in the credibility of that business and website for whichever products they might be interested in, may it be virtual or physical products—from blogs to office supplies, the limits are endless! Contact Local SEO Tampa Company @ 727-938-8891 or via contact us form if you need are considering to start Search Engine Optimization campaign or need a quick consultation.